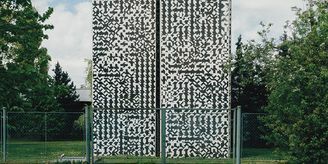 The Czechoslovak legions occupy an almost legendary place in Czech history. 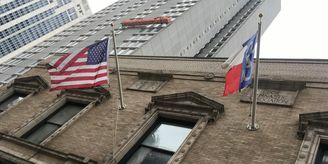 They comprise the armed forces that fought during and after World War I on the allied side in pursuit of an independent Czechoslovakia. 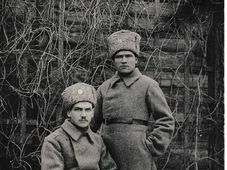 The biggest force, and most potent myths, centre on the Russian force, which became embroiled in the civil war, spending three years and travelling thousands of miles before returning home. We look at the myths and facts about their exploits. The Czechoslovak legions were a potent myth and reality for the First Czechoslovak Republic created in 1918. Many of their military leaders filled the top ranks of the new nation’s army. Some finally went over the edge creating anti-democratic parties and siding with the Nazi occupiers at the end of the 1930’s. Physical landmarks, such as Prague’s bridge Most Legií is named after them, though it was constructed earlier and the name was changed during the Nazi and Communist regimes. A memorial to the legionnaires also dominates Prague’s Palacký square. One of the city’s interwar architectural masterpieces, the bank founded for the returning legionnaires, Banka Československých legii or Legiobanka, is a rondo-cubist masterpiece by celebrated Czech architect Josef Gočár. But it is perhaps at the psychological level that the foundations go deeper. More about that later. From the start of World War I, Czechs abroad started to form national units to fight on the Allied side. Small at first, their numbers and significance started to snowball when they were supplemented by prisoners and deserters from the Austro-Hungarian army fighting alongside Germany. All this fitted in well with the strategy of Tomáš G. Masaryk, the leader of Czechoslovakia’s independence movement and later first president. 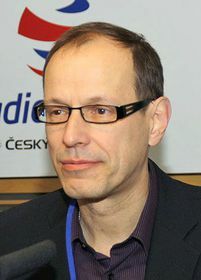 Ivan Šedivý is a specialist in modern Czechoslovak history at Prague’s Charles University. 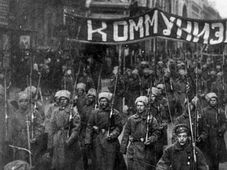 But the Russian Revolution in 1917 represented a major hurdle to this plan. While the newly established independent Czechoslovak force proved its fighting worth in the offensive of Alexander Kerensky’s provisional government, that government was soon overturned by the Bolshevik revolution with Lenin opting for peace. The Czechoslovak forces wanted to carry on fighting and now faced the challenge of how to get to France. Their way back west and to the northern Baltic ports was blocked by German armies. They faced the choice of a hazardous trip south towards the Middle East or further east along the trans-Siberian railway to the port of Vladivostok. They opted for the latter route and what was to become a three-year odyssey. The Czechoslovak legion represented a well organised and potent fighting force which occupied large swathes of Siberia. It made use of armoured trains along the railway to ferry forces to key points. Its imminent arrival is believed to have contributed to the decision by local Bolsheviks to execute the Tsar and his family at Eskaterinburg in July 1918. But even so, it was still a fairly small force. 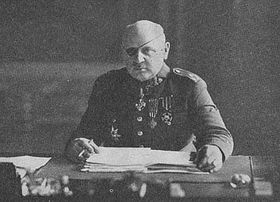 The Czechs forces also became disillusioned with one of the main White generals, Admiral Kolchak. 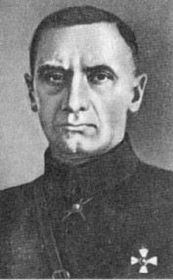 The legion even paved the way for Kolchak’s capture and execution by Bolshevik forces at the start of 1920. 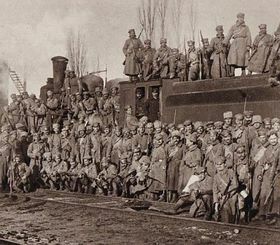 The most intriguing story about the Czechoslovak legions’ Siberian journey concerns the rumours that they kept one of eight wagons of the Tsar’s gold after the rest were handed over to the Bolsheviks as part of the deal to get home. Professor Šedivý. Photo: www.czechlegion.com He says a telegram found in the archives talking about the transport of a gold cargo, ostensibly for medical use, through the port of Trieste for Czechoslovakia lends some support to the Tsarist gold story. But the Czechoslovak legion had branched out into many money spinning ventures during its time in Siberia and the gold could have also stemmed from them. “The Czech legions had a very wide economic infrastructure and had this financial office and this office carried out very broad scale business with products and with currency and gold. So it is possible that many financial and gold resources later deposited in the so-called Bank of the Czechoslovak Legions, which was created, I think in 1920, were mostly from the economic transactions of the Czechoslovak legions and not from this gold of the Tsarist family. 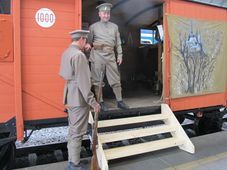 World War I was long over by the time the last members of the Czechoslovak legion shipped out of Vladivostok by April 1920. Many of the newly returned found posts in the army with their long combat service a major factor in their favour. General Jan Syrový became a four-star general and Czechoslovak army Chief of Staff. He also served as a reluctant prime minister during the Munich crisis in 1938. For Professor Šedivý the colourful stories of the exiled Czechoslovak forces provided a powerful image of the independence struggle during the First Republic. Later on, after the capitulation of Munich and later Nazi occupation, Communist takeover in 1948 and Soviet-led invasion of 1968, it provided Czechs with one clear example of national military exploits. The uncomfortable fact though is that far more Czechs and Slovaks died during World War I in the Austro-Hungarian army fighting the Allies than in the small military units that fought alongside them. But there again, as the saying goes, it is the winner who writes history. And after World War I, Czechoslovakia was clearly on the winning side.